The purpose was to keep the soviet people from leaving. 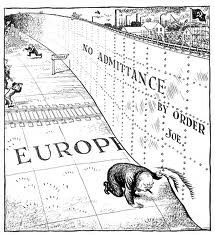 This policitical cartoon shows that germans couldnt go over the wall. This was dangerous because if you try to climb the wall youll get shot on sight. 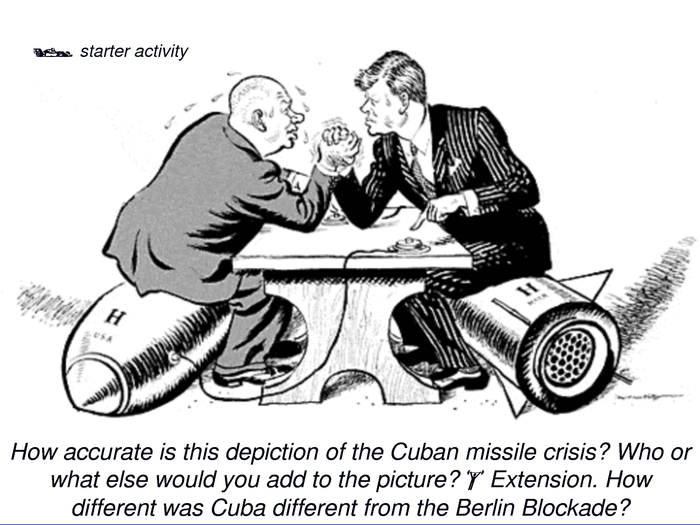 In May 1962 Nickita Khrushchev decided to place Soviet nuclear missiles on Cuba to prevent any future invasion attempt. The United States were planning to attack Cuba from air and sea but then decided to put a military blockade around Cuba. The purpose of this cartoon is that there both deciding to push the nuclear button to create a nuclear war. Arms Race was a competition to see who had the most nuclear weapons. 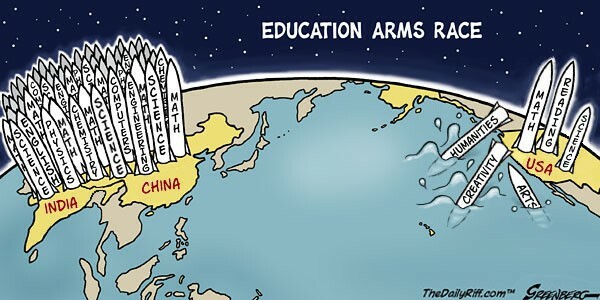 This cartoon is trying to shows that Russia had more nuclear weapons then the U.S. This could of started a nuclear war and ended the world. The North Atlantic Treaty Organization was a military alliance, who became rivarly against the Warsaw Pact because of the Cold War. 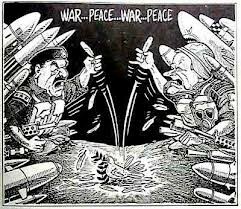 This cartoon show the US and the Soviet Union debating about war and peace. This could of started a nuclear war. The Iron Curtain as the seperation of Europe. 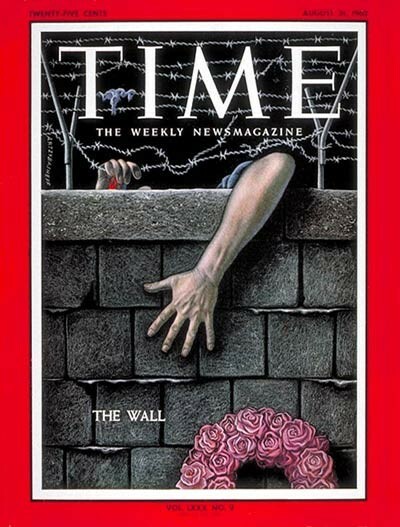 The Soviet Union had wall border and guarded with men with turrets and rifles and who ever tryed to climb or damage the wall would get shot on sight. This cartoon is showing the seperation of Europe.